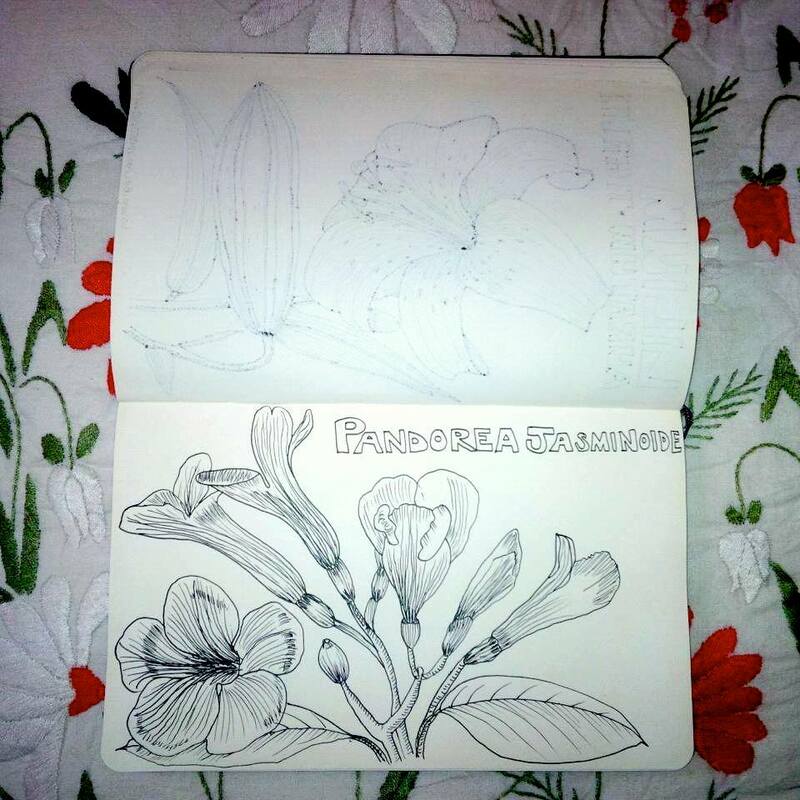 A quick sketch of Pandorea Jasminoide flower. I may not be sketching for a while but I will fill my page with art from George Town Festival which starts this weekend! WONDERFULLY DONE AND ANATOMICALLY CORRECT!!!!! Am envious of your skill, thank you for checking out our blog site, for parents and kids. I will follow you with delight.